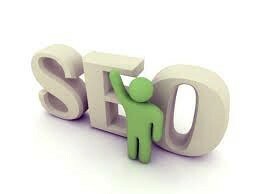 SEO can be difficult even at the best of times – and a lot of time it can feel like an uphill struggle. With my first eCommerce client – I’ll admit, it was a struggle. And while improving the rankings for the homepage was relatively straightforward, it was those deep product pages that became the struggle and the main challenge. And whilst many SEO’s may simply concentrate building links to the homepage and hoping for the best – in reality, if your eCommerce site is going to succeed you need to start getting those product pages ranking, and getting them ranking high. How? Keep reading. You’ve heard that fresh content improves a website’s chance of ranking – but it’s a common problem that on product pages, creating regular, fresh, unique content can be difficult. To get around this though – encourage your customers to write product reviews, which then get published to the product page. This keeps the pages updated with fresh content. Problem solved! The other advantage? The reviews will be full of keywords and phrases too. This is important because it allows you to put in some great relevant and keyword-rich content that is not only useful to your customers – but that is also interactive to your customers too. It’s something that can be updated regularly too – meaning you’re getting a regular content fix. This method is a little slower (in terms of results) but you can start link building towards these deep product pages to get them ranking. A great way to do this is by guest blogging – but you can also do it in a slightly more inventive way – see the next tip. Link Bait means creating something (a page or a product) that is going to naturally attract links. For this kind of link building – you won’t necessarily need to actively guest blog or anything such as – but instead – create an interesting or bizarre product on your website. One company I know (a food retailer) designed a sold (fake) Unicorn meat. Needless to say – the links rolled in. As did the orders. With stuff like this though – you need to ensure people know the products are meant in jest! As well as being beneficial – videos are great as they are separate from text and will aid you in your SEO. If you can get your Videos to rank highly – it will also push your pages up. Not only do product pages with video stand out from the crowd (and most importantly, your competitors) but they’re also great content to have – and will make people more likely to link inwardly to that page. Your page titles and URLs are really important – so make sure you’ve got them sorted and that the page title isn’t just randomly generated numbers – but that the page titles are in fact inclusive of key words and phrases. This one’s obvious – but you need to make sure your products all have good – well-written descriptions. Not only will this text include keywords and phrases – but it counts towards the on-page content you need to be ranking. This guest post was provided by Elle, who works with WhoIsHostingThis.com a website where you can compare and contrast hosting packages. and detailed information you present. It's great to come across a blog every once in a while that isn't the same outdated rehashed information.